Summer doesn’t have to end just because the dates are changing on the calendar according to the adults-only, all-inclusive Warwick Paradise Island – Bahamas. The resort is offering a “Forever Summer” promotion valid for travel through 2019 and featuring savings up to 40% off the resort’s “Best Flexible Rate.” A bonus $30 per person Amber Spa credit is provided to guests booking a minimum of three nights. Nightly all-inclusive rates offered through the Forever Summer special start from $160 per person, based on double occupancy in an Island View room; from $175 per person, double occupancy in a Water View room; from $210 per person, double occupancy in Harbour Deluxe Balcony accommodations, and from $250 per person, double occupancy, in a Harbour Premium Balcony room. Nightly rates vary according to travel dates and room category, and are subject to availability and blackout dates. The $30 per person credit for the resort’s Amber Spa is available on reservations that are a minimum of three nights and can be used towards the purchase of any of Amber Spa’s full menu of massages, facials, skin care, nail and hair treatments. The credit cannot be refunded, bartered or sold, and has no cash value. 7.5% Value Added Tax (VAT) included for stays up to June 30, 2019; starting July 1, 2019 12% VAT is included. The Forever Summer promotion is valid on bookings made by Sept. 14, 2018 for travel through Dec. 31, 2019. Reservations can be made online via https://warwickhotels.com/paradise-island-bahamas/special-offers/forever-summer,by calling 1-888-645-5550 (toll-free U.S. and Canada) / 242-363-2560 (elsewhere) or sending an email to info.wpib@warwickhotels.com. As part of the resort’s all-inclusive offerings, guests can enjoy the “Cabbage Beach Picnic” which takes guests to one of Paradise Island’s finest beaches on the Atlantic Ocean. The resort provides transportation to Cabbage Beach (a five-minute drive) with departures from the hotel between 10 – 11:30 a.m. (weather permitting). Beach service is provided, at no additional cost to guests, with a beverage and a light lunch. Reserved spaces are limited to 36 guests per day and reservations should be made 24-hours in advance of the excursion at the reception desk. Warwick Hotels and Resorts (WHR) has invested nearly US$50 million to create thefour-star deluxe Warwick Paradise Island – Bahamas. Set along Nassau Harbour with views of Nassau and Paradise Island, the resort features 250 rooms across five room categories, a white-sand harbour beach, five dining options, two bars, a fully equipped fitness centre, entertainment and activities, an onsite gift shop and a tour desk offering sightseeing options to the destination’s attractions. 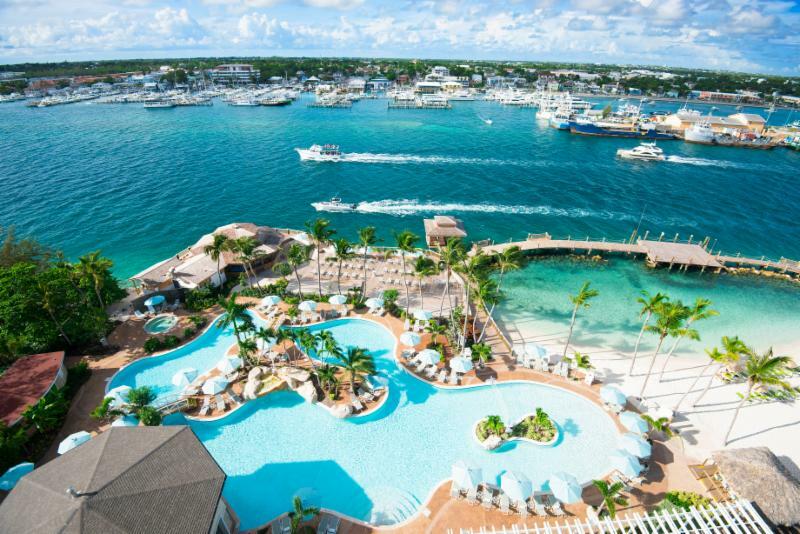 Warwick Paradise Island – Bahamas is a 30-minute drive from Nassau’s Lynden Pindling International Airport. World-famous Cabbage Beach is a 10-minute walk away with dining and shopping nearby. Warwick Hotels and Resorts (WHR) was launched in 1980 with the purchase of Warwick New York, a hotel originally built by William Randolph Hearst for his Hollywood friends. The WHR Group now includes more than 55 prestigious Hotels, Resorts & Spas worldwide located in city centres and resort destinations in the United States, Caribbean, Europe, Asia, Bali, the South Pacific, the Middle East and Africa. Further details can be found at www.warwickhotels.com.